One of the wonderful programs that I am involved in is Influenster. If you don't know what Influenster is, it's a company that collects data on you (that you provide to them) and then they send out products for you to use and review. There is also a community on the site that has reviews of an endless number of products, anything from makeup to hiking gear. 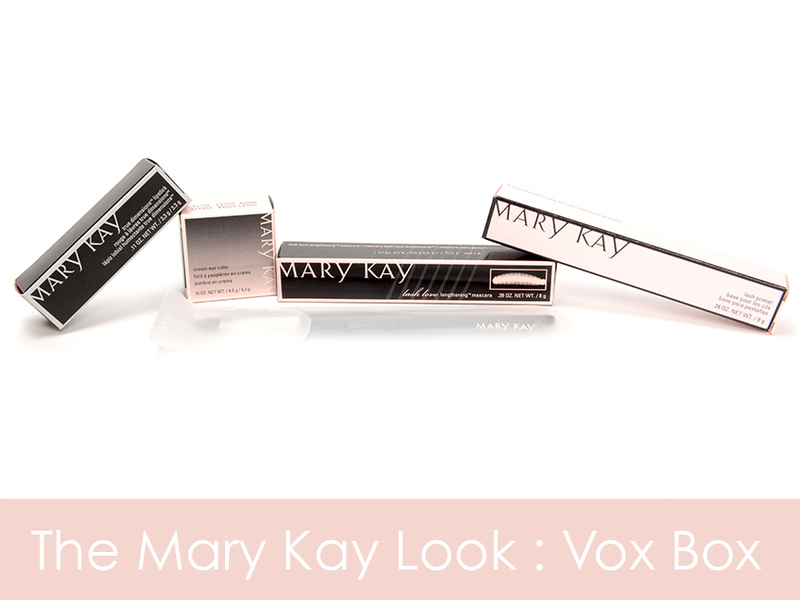 I qualified for the Mark Kay box and if you have any interest in the products above, keep reading. I won't lie to you; when I hear Mary Kay, I don't think high quality makeup. I blame this on my high school years and being invited to Mary Kay parties where the hostess is trying to push her makeup on you like a used car salesman. I understand how Mary Kay works and I'm not the biggest fan of the scheme, but I decided to test out all of this makeup and let you guys know my thoughts on each piece. This is everything out of its packaging; a lipstick, cream shadow, mascara primer, mascara, and a brush... pretty much the basics for creating a look. The first thing I'm going to review is the brush because it's very basic and very easy to review. This is the cream eye shadow/concealer brush and it retails for $10. Honestly, I wasn't too impressed with it in terms of quality. Granted, it's $10 and in the makeup brush world, that isn't that expensive, but I think I will stick with my Real Techniques brushes for cream shadows and concealers. Also, I am not a fan of the thin, flat brushes for much of anything, so there might be a bit of bias here. 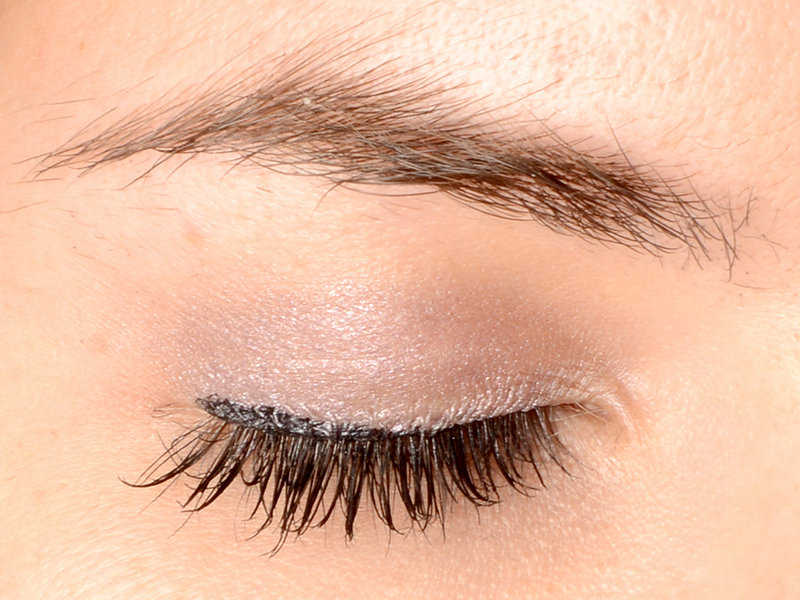 This is the Mary Kay Cream Eye Color in Violet Storm and it retails for $14. I am always incredibly wary of cream eye shadows because of their nasty tendency to crease, but I was very pleasantly surprised by this one. After 8 hours of wear, I didn't see any creasing and that was without primer. The color is fairly sheer and you can build it up, but it isn't every going to be an incredibly opaque color. I've been using this quite a bit recently because it's an easy, on the go kind of product and really fantastic for the summer. I give this a thumbs up. I also received the True Dimensions Lipstick in Pink Chérie which retails for $18. Ok, alright, listen... I'm a sucker for awesome packaging and this lipstick has amazingly fun packaging. You don't just remove the cap from this lipstick, you actually push the lipstick base out via a clear button on the top of the lid. I really dig this method because it takes away the possibility of taking a dent out of your lipstick with the cap. Aside from that, I also really liked this lipstick. 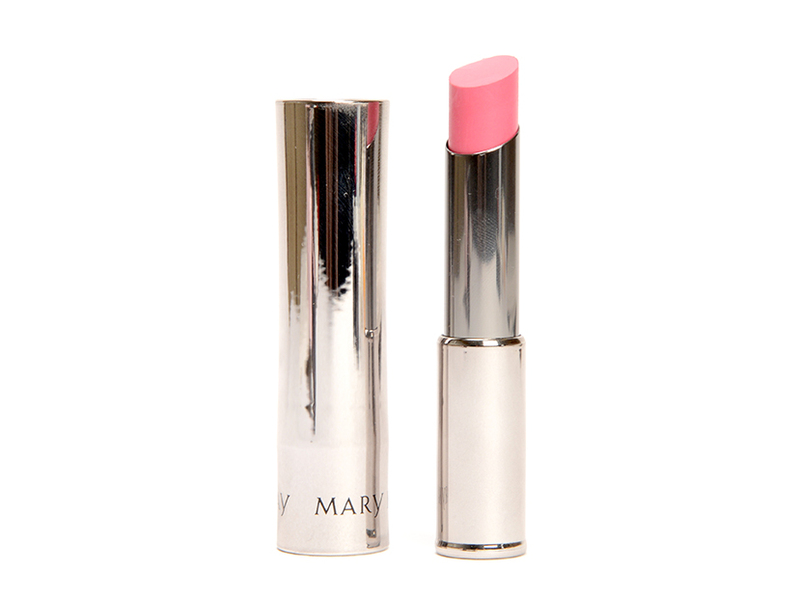 It is really moisturizing feeling, it glides on the lips and it feels nice. Its staying power isn't the greatest due to the fact that it is so moisturizing, but Pink Chérie is a nice, natural pink that looks good on most people. The color is not opaque, but it's also not completely sheer, so it's also buildable. While I do like this lipstick, I think that the $18 price tag is a bit steep. And the mascara and primer! The product on the left is the Lash Primer and retails for $15 and on the right is the Lash Love Lengthening Mascara which also retails for $15. Honestly, the primer just kind of seems like clear mascara to me, which I would not pay $15 for. The point of using a clear mascara before colored mascara is to hold a curl or to help separate lashes, but I can go pick up a tube of clear great lash for $4 at Target. I wouldn't ever spend my own money on the Mary Kay version. 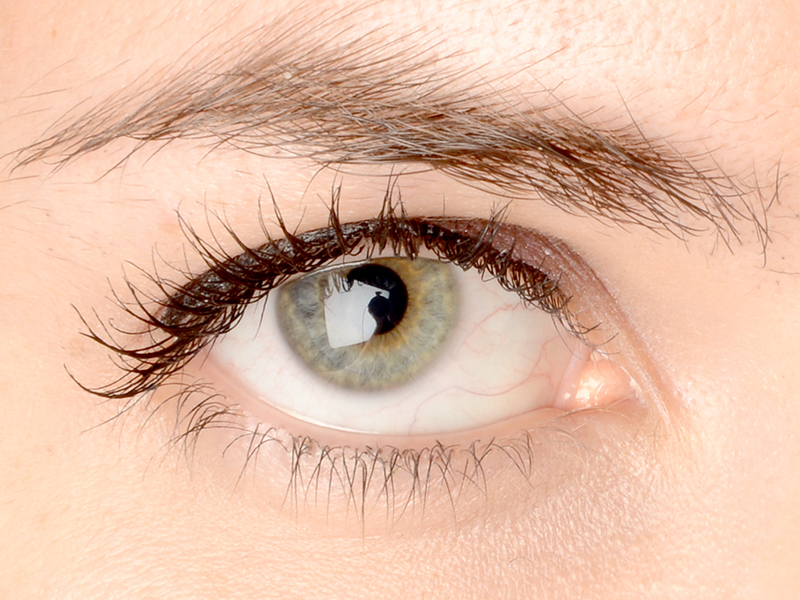 As for the mascara, oh hot damn, I am in love with it. I am pretty sure that I will buy this mascara when I run out of the one that was provided to me. 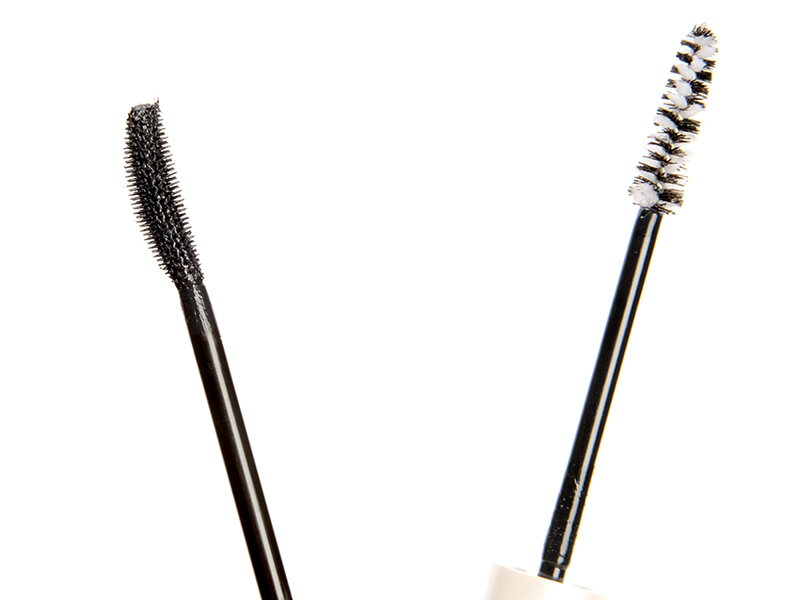 The brush is very similar to the Covergirl Clump Crusher brush, but the plastic bristles are a touch longer and I love the formula of the mascara itself. It is a dream to work with and it was amazing the first time out of the tube and every single time afterward. Aside from making my lashes look great (you guys have already seen this mascara in action in my last tutorial), it comes off so easily. No, it doesn't come off on my face at all during the day, but with my makeup removing wipes, it slips right off and I don't walk out of the shower with raccoon eyes. And that's that. I really do enjoy the cream shadow and am seriously considering picking another color up if I buy the mascara for myself. As for the other products, they weren't impressive enough for me to want to buy them outright... although I may change my mind on the lipstick. If you have any interest in becoming a member of Influenster, feel free to shoot me an email at bisousdarling@gmail.com and I can send you an invite.